In order to promote and protect the public's health and ensure that all public swimming areas are operated in a safe and sanitary manner, all public swimming facilities (known as Recreational Water Facilities) are permitted and inspected by the Monongalia County Health Department. Currently there are over 100 Recreational Water Facilities in Monongalia County. These include swimming pools, hot tubs, and bathing beaches. They are located in hotels, apartments, recreation centers, public parks, and so forth. 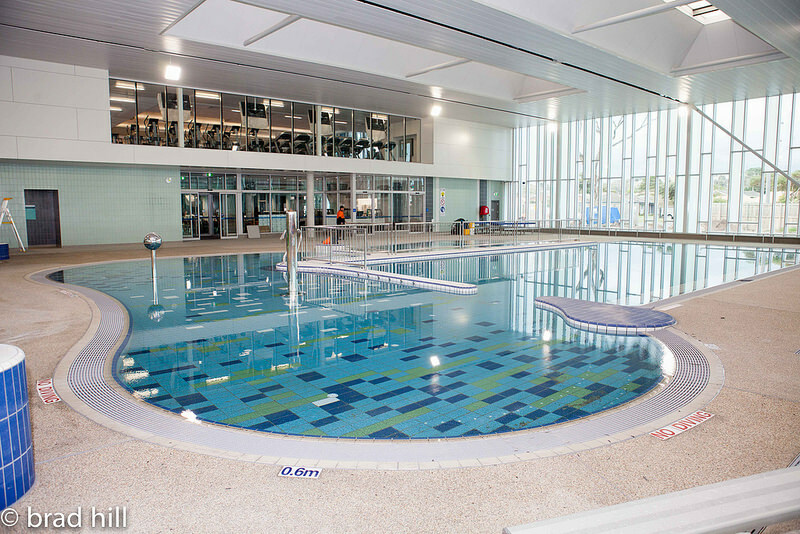 All Recreational Water Facilities are inspected at least twice per year (this includes seasonal pools.) In addition, all open facilities are visited every 2 weeks for a chemistry check to measures the chlorine level and pH of the pool. Certified Pool Operator (CPO) training for your staff will fulfill the requirement for a Qualified Water Facility Operator as stated in the West Virginia Legislative Rule for Recreational Water Facilities 64CSR 16 9.1. CPO training will also give your staff the knowledge and skills to successfully operate your aquatic facility. Classes are held at the Monongalia County Health Department in Morgantown, West Virginia. Note: to qualify for 1-Day Review or Exam Only, your CPO Certificate must still be current on the day of the class. Why Choose the Monongalia County Health Department for CPO Training? One of the lowest cost CPO classes in West Virginia. Instructor is a Sanitarian (inspector) with the Monongalia County Health Department with extensive knowledge of West Virginia pool regulations and 10 years experience in Recreational Water Facility inspections. Class includes a field trip to a nearby pool. This allows students to see the concepts they are learning in action. Classes start at 8:30am each day. A discount is available for West Virginia Sanitarians. Email Daniel McNeil, R.S. for details. West Virginia Sanitarians also receive 12 RS hours for attending the class. All persons who wish to operate a recreational water facility must first apply to the West Virginia Office of Environmental Health Services - Environmental Engineering Division. Once your plans have been approved, you must submit an application to the Health Department. Application for a Recreational Water Facility. Once you have submitted your application you must schedule an inspection with a Sanitarian. They will inspect your Recreational Water Facility to ensure that it is in compliance with all required regulations and that it can be operated in a safe and sanitary manner. All recreational water facilities must follow the West Virginia Recreational Water Facility Regulations. West Virginia 64CSR16 Legislative Rule for Recreational Water Facilities. APSP 7 - 2006 ANSI Standards for Suction Entrapment Avoidance in Swimming Pools, Wading Pools, Spas, Hot Tubs, and Catch Basins. The West Virginia regulation and the APSP 7 - 2006 ANSI standard are available for download from this website (click links above.) NSPI 1 and NSPI 2 are available for purchase through the APSP website or ANSI Website. All recreational water facilities must have a Qualified Water Facility Operator on staff. A Qualified Water Operator is an individual that has a current Certified Pool Operator (CPO) certification, or has attended one of the other Operator Training Courses approved by the state of West Virginia. All operators are required to submit a weekly Pool Report to the Health Department. Note: This is for Weekly Pool Reports Only. Weekly Pool Reports (PDF format) Only. Note: Please click the Submit button only once. Sometimes it takes a few seconds for the website to respond.